Listen to author, journalist, and Executive Director of the ocean conservation and policy group, Blue Frontier, David Helvarg, as he shares his vast experiences and discusses the health of our ocean. 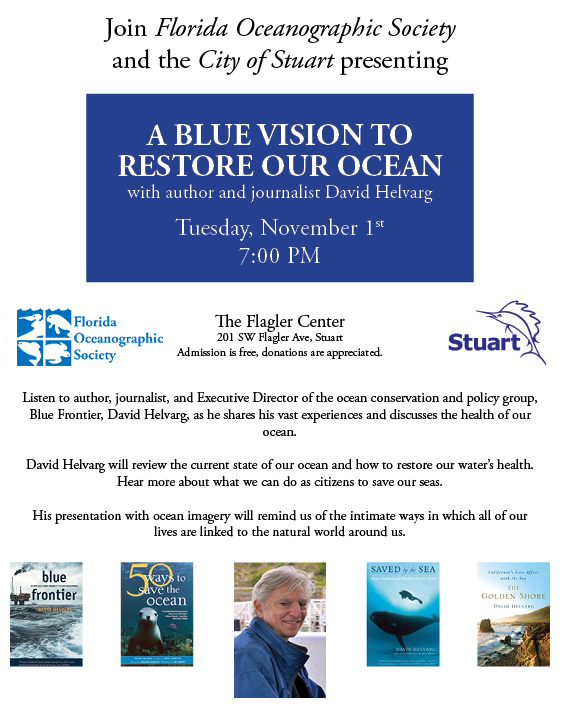 David Helvarg will review the current state of our ocean and how to restore our water’s health. Hear more about what we can do as citizens to save our seas. His presentation with ocean imagery will remind us of the intimate ways in which all of our lives are linked to the natural world around us. This is a free event, donations are appreciated.